Mike's Noodle House, located in Chinatown in Seattle's Internatonal District right across from Hing Hay Park, is a Cantonese/Hong Kong style restaurant that serves an assortment of noodles, congee, side dishes, etc. 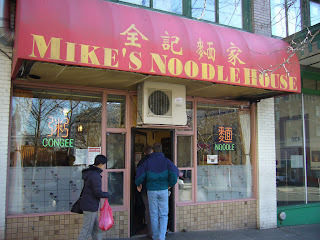 For some reason, it has become a local favorite and is a popular lunch time location for not just strictly Chinese people but an array of people. The place gets crowded and packed quick so it is best to go there earlier in the day to guarantee a spot and not have to wait. The service isn't exactly the best since I found a lot of the waitresses to be rude (but its pretty typical of many Chinese places) since they have to work in such a fast pace environment. 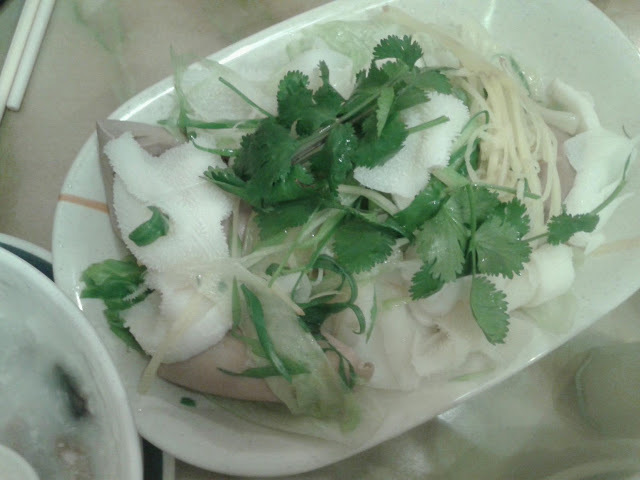 We usually always have congee, this one is the 'century egg (preserved egg) with pork. 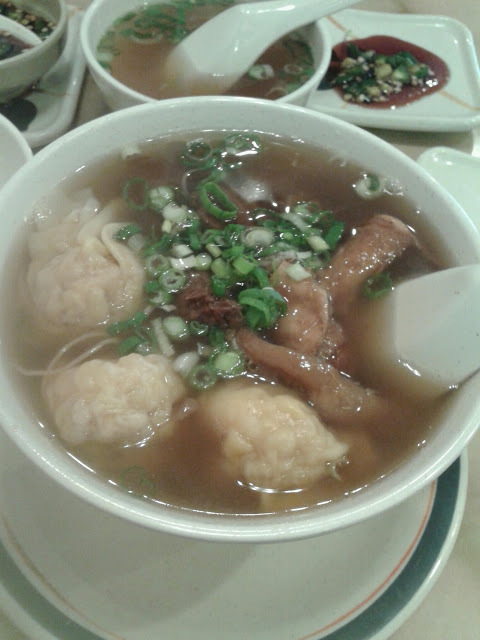 Then for myself, I usually almost always order the wonton noodle soup w/ soft beef brisket-the flavor of this is really flavor packed and delicious! Then for the more adventurous, or those who like the 'innards' this is a plate of cleaned and blanched pork kidney and beef tripe served with veggies. The tripe is sort of flavorless but is cooked just right so it isn't chewy or tough at all. The kidney does have a stronger/gamier taste, but dipped in the spicy soy sauce, it is a nice snack!